Looking to stretch your advertising dollars? Try implementing a PPC (pay per click) campaign. It’s cheap. It’s ideal for small businesses. It’s not as costly as producing a full-blown advertising or Internet marketing campaign. It’s also can be very effective if executed correctly. Getting your money’s worth on PPC advertising means coming up first with a good strategy. A lot of people think that a PPC campaign can be hastily thrown together – “okay, I’ve chosen my keywords – I’m done!” – and they are the ones who are most prone to making costly mistakes. So, before you go about launching your own PPC campaign, take a look first at these helpful tips. They won’t just help you save money; it will also maximize your money and, subsequently, your sales potential. Choose keywords wisely, and cast your net broadly. Of course you want a high PPC ranking. But that doesn’t mean you have to get the most popular – and most expensive – keywords. Research what people are looking for and typing in their search queries, and from there you can target less popular (and therefore less expensive) keywords that, when taken as a group, can still bring you high-volume traffic. The more specific, the better. We’re talking here about place and time. If you’re a coffee shop in Chicago, why pay for clicks that are outside your geographic target? If you close operations at midnight, why pay for an ad that shows up at 2 a.m. to a person who wants his latte taken in the wee hours of the morning? Target your audience and time your ads. Advertise when and where it matters. That way, you lower your ad impressions, increase your click-through rate, and maximize the money you spend on PPC. Call them to action. You may be getting lots of clicks, but that doesn’t mean you’re making tons of sales. Once you’ve gotten users to click through your website, get them to make a purchase decision. Call them to action. A good landing page is essential, as is persuasive ad copy that makes it hard for users to turn you down. Keep yourself informed. The data that you observe and gather from using essential tools like Google Analytics should help you make informed decisions that will improve the effectiveness of your PPC campaign. By knowing what your analytics and reports tell you, you can change and edit keywords, revise your ad copy, evaluate the performance of your keywords, and adjust as necessary. Test! You don’t want to pay for clicks that don’t help you sell. So find out which ones do. Test everything. 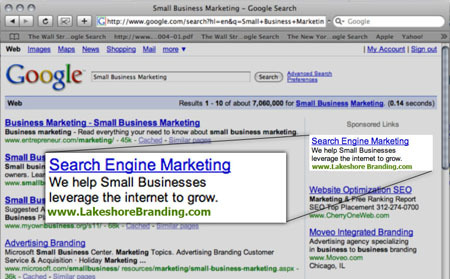 Keep refining your keyword list and ad creative. Keep looking for new opportunities. Keep tracking your results. PPC is not a stagnant thing: it’s a process that evolves through trial and error. Of course, better if it’s trial instead of error. So test everything. Really wonderful piece of information about google adwords and PPC is something which helps a webmaster to sell his product and let him earning some bucks from his products.